Oppa Gangnam Style! Even since Psy’s Gangnam Style video went viral on YouTube, the Gangnam District of Seoul has become a household name to most people. 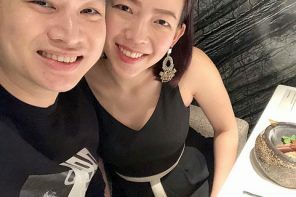 But while Gangnam in Seoul is often associated with the rich and famous and their lavish lifestyles, Gangnam 88 at Solaris Mont Kiara serves affordable Korean food and caters to a younger crowd. 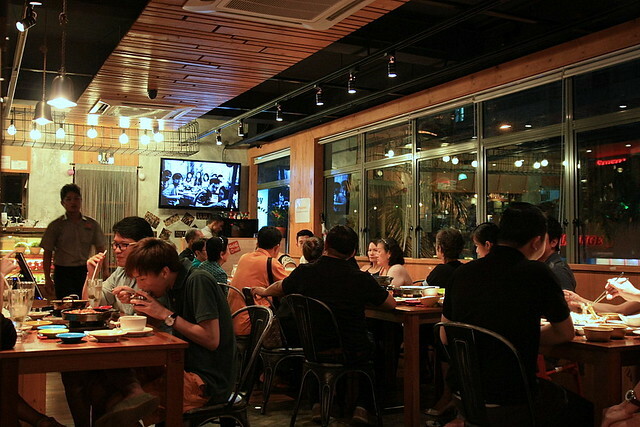 Gangnam 88’s interior reminds us of a few casual restaurants that we visited in Seoul. 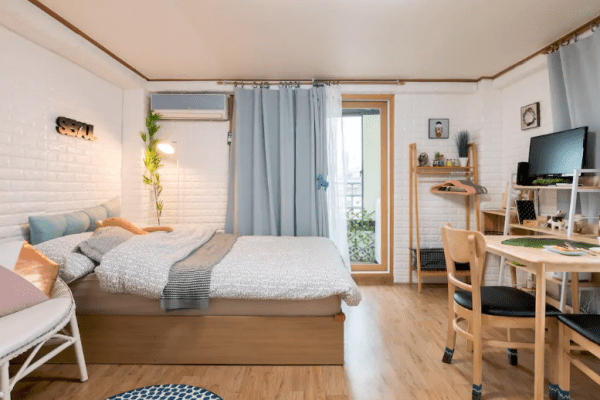 It has a cool and casual vibe with K-pop idols’ posters adorning the walls and K-Pop music videos played on loop on the flat-screen TVs on the walls. 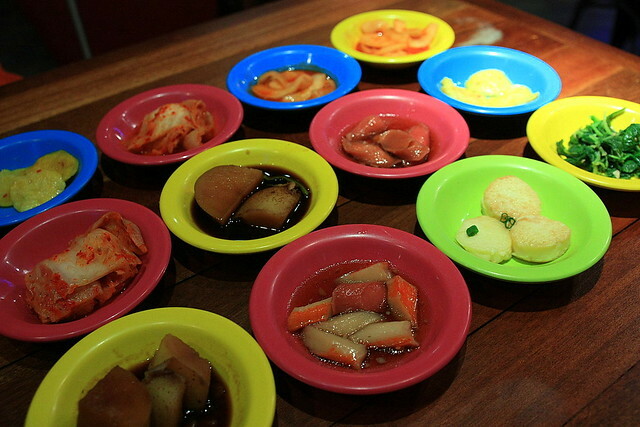 We love Gangnam 88’s ban chan (side dishes) selection served in these colourful bowls. 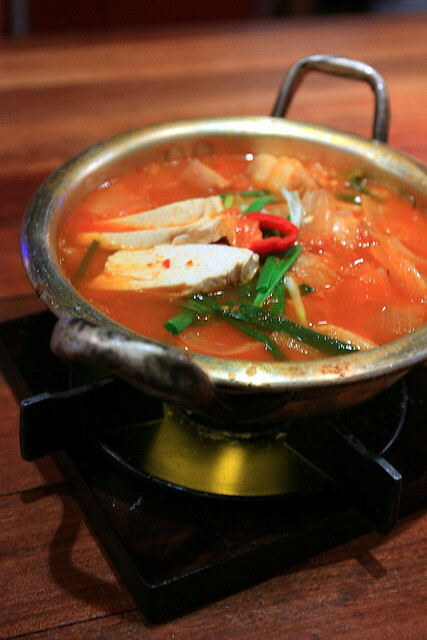 The sourish kim chi really whetted our appetites. 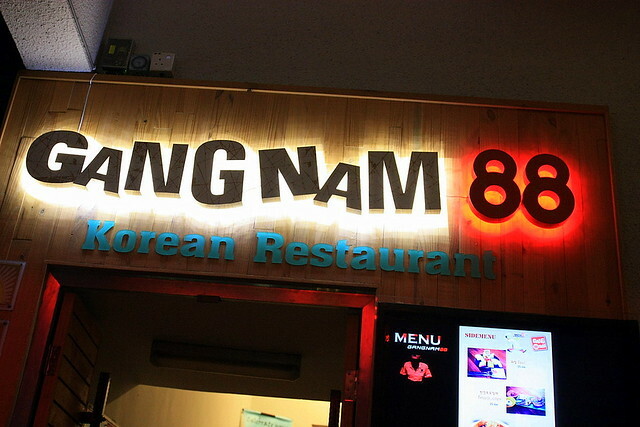 It is a bonus that Gangnam 88 offers unlimited refills. We started off with some barbecued meat; I like how they pre-grill everything. This lets you enjoy the grilled meat without smelling like meat and smoke afterwards. 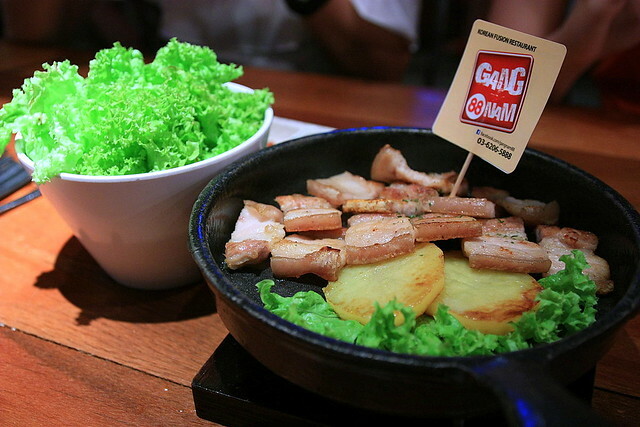 Our order of samgyeapsal (RM39, small portion) consisted of plain pork belly – the real deal without any marinade to mask its porky flavour. 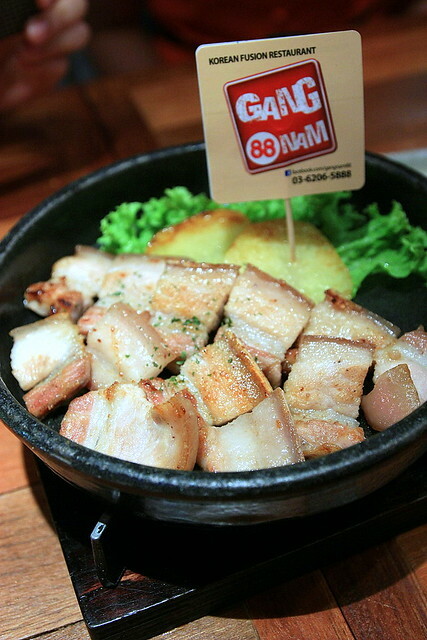 It reminded me of what pork belly tastes like, and the crispy layers of fat were simply divine! 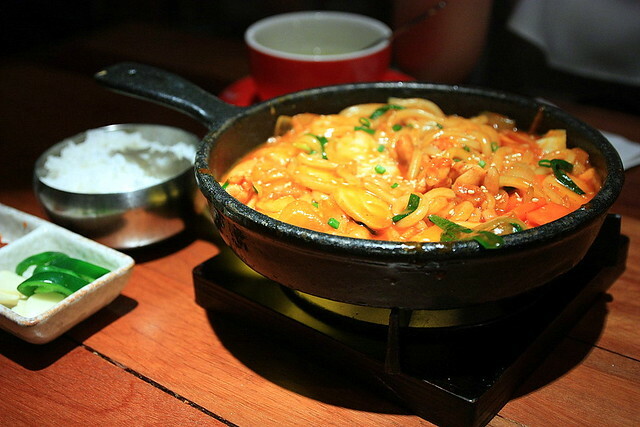 Rabbokggi (RM33) is derived from the words “tteokbokki” and “ramyeon”, and refers to stir-fried rice cakes with instant ramen noodles. 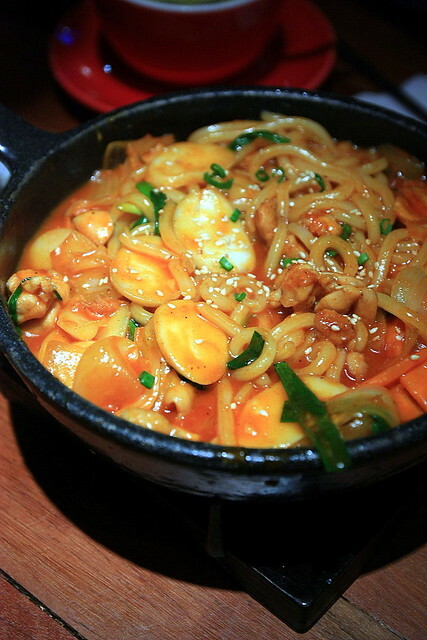 To me, it is having the best of both worlds – the chewy texture of rice cakes plus springy ramyeon. 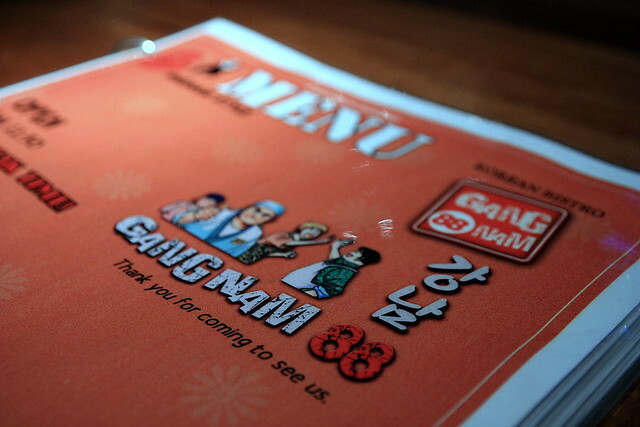 Although the food itself was somewhat hit and miss during our visit, I’ll give Gangnam 88 another chance. 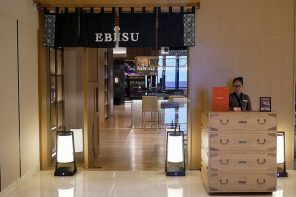 It is quite a unique restaurant and we are also eager to try their beer chicken, which needs at least one hour of preparation time. 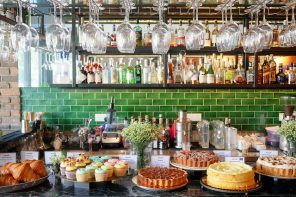 But be warned if you are planning to visit – there is always a long queue so plan your visits wisely and be there early.